We want you to stay safe and warm, therefore we will be closing at 6 pm on Tuesday, January 29th, will be closed all day Wednesday, January 30th, and will reopen at 10:30 am on Thursday, January 31st. So, it’s winter. You are tired of being cooped up inside. You need exercise (and not on a treadmill). You need fresh air. Got snow? Why not build an igloo? A great way to spend some time in the great outdoors – fresh air, exercise – fun with your family and friends! So, let’s get started! According to Norbert E. Yankielun, author of How to Build An Igloo and Other Snow Shelters, the first thing to do is “make friends with winter.” Which makes sense since you’ll be outside working with snow – it’s cold out there and you don’t want frostbite, dehydration, or hypothermia. To protect yourself, you’ll want to be sure to have the right clothing, nutrition, and water. You may already know that several layers of clothing are the best way to insulate yourself from losing body heat. But, you do want to avoid wearing cotton clothing because it absorbs and holds water and moisture. Similarly, you’ll want to wear mittens (which are warmer than gloves) that have a waterproof shell to keep your hands dry. And, don’t forget the sunscreen and UV-blocking sunglasses or goggles – the sun glaring off white snow intensifies the damage to skin and eyes. So, what else do you need to know to make your own backyard igloo? 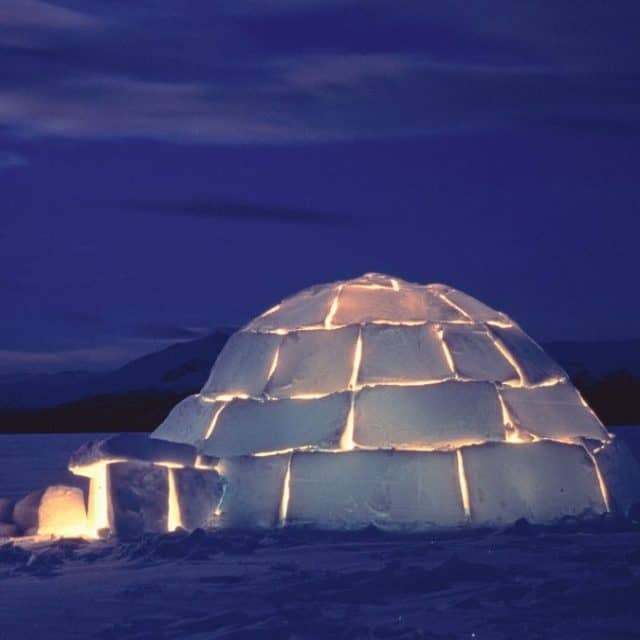 It is possible to build an igloo by yourself – but what fun would that be? It is also much safer to build with another person. If you are building in an urban setting there are some “don’ts” about which you should know. Avoid the piles of snow near parking lots, streets, driveways, etc., a plow driver could easily mistake an igloo for another pile of snow. You also don’t want to build too close to parking lots, roadways, or driveways to avoid the possibility of car exhaust and carbon monoxide poisoning. So, you have a safe spot picked out and a group of your friends/family. What else do you need? Snow. You have to have snow to build an igloo (obviously). There are lots of different types of snow – which are beyond the scope of this blog. What you want for a good, strong igloo is sintered snow. Sintering is what happens when you compress snow into a snowball – it squashes the flakes, briefly melting the edges and then re-freezing into a snow mass. It also occurs when snow goes through melt and freeze cycles. Don’t have sintered snow in your yard? Stomping the snow underfoot is one of the easiest ways to create the snow blocks you’ll need for your igloo. 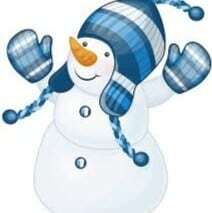 You are with your family and friends, have snow, are dressed in layers and have assembled your equipment. What’s next? Once you find a nice, flat area for your igloo, you’ll need to size your igloo and flatten the floor. 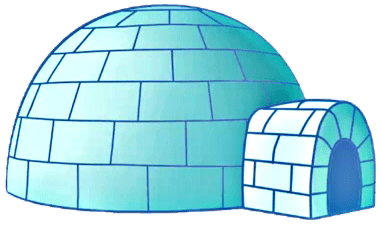 An igloo large enough for 2-3 people should have a diameter of at least 6 feet. Have ski poles? Plant one to use as the center and use the other to draw the circle around it. 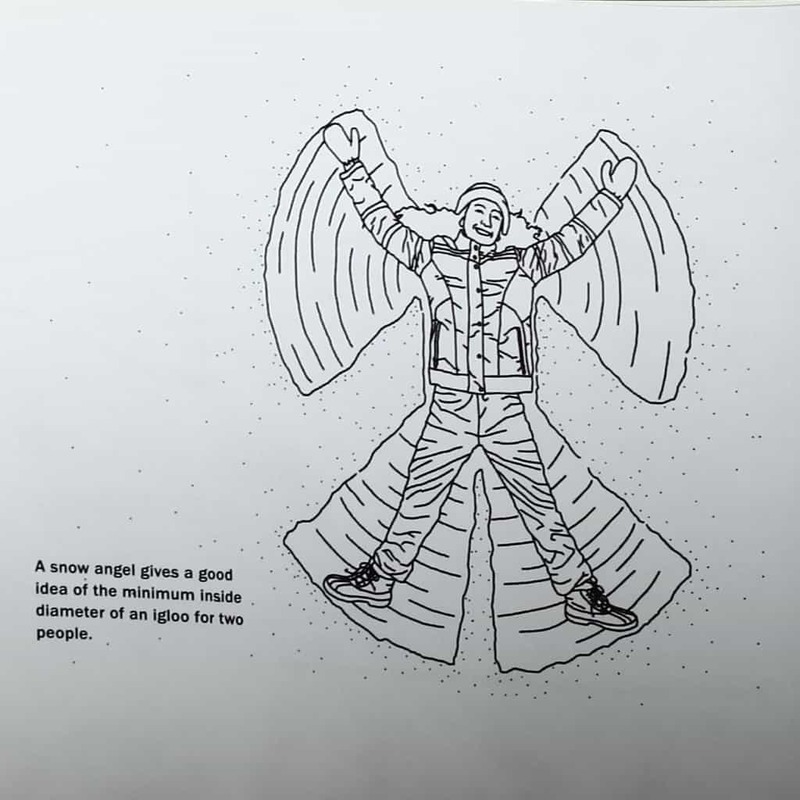 Or for more fun, have the tallest person in your group make a snow angel – that will give you approximately the right sized igloo for two people! Then if you all get together and stomp around inside the circle, you’ll tromp down the snow into a nice foundation! If you have sintered snow, take your saw and start cutting your blocks! Blocks need to be the same size and it is suggested they be about 18 to 24 inches long, 9 to 12 inches thick, and 12 to 18 inches tall. Don’t have sintered snow? No worries, you can also use a clean bucket, or storage tub and pack the snow in that. When you turn it upside down you have your snow block! Got those ice blocks made? Time to start building that igloo! Place them, edge-to-edge, on your circle. Once you have the first layer made, you’ll want to cut the blocks into a ramp which should go at least halfway around the block circle. Now you can begin stacking the blocks on the ramp base. You’ll probably have to cut the edges of the blocks so they will fit tightly together. In order to form a stronger structure, you’ll want to be sure the block bridges the seam of the two blocks beneath it. It is helpful to have one person inside the igloo to help place and shape the blocks and to help place the cap block (or King Block) on the top of the igloo! The cap block has to be carefully shaped so it will support the inward leaning of the walls. 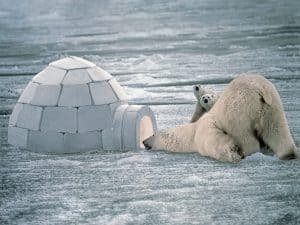 Yes, you have now enclosed one of your party inside the igloo with no way out! Making the entrance before the dome is complete weakens the entire structure, so that part of the construction must wait. (Might be a good idea to make sure the person on the inside isn’t claustrophobic!) There are a couple of options to consider when planning your entrance. One option is the “gopher hole.” A gopher hole is basically building a tunnel under the wall of the igloo – an advantage is it helps keep the heat inside the igloo! The other option is a surface entry, which I suspect, is what we think of when we visualize an igloo. It is an arch-shaped entry cut into the side of the igloo. Using an arch shape helps reduce the stress on the shell of the igloo when creating a hole in the wall. It shouldn’t be larger than 2’x2′ – just large enough to crawl through. These are the basics of igloo building – be sure to check our resources before you start your own! Learn from the experts! There are other types of snow shelters: quinzees (a hollowed out, dome-shaped mound of well sintered snow); slab shelters (looks like a pup-tent or A-frame); drift caves (similar to a quinzee – only in a hollowed snow drift); and spruce traps (using the umbrella of a spruce, pine, or other evergreen tree as a shelter). 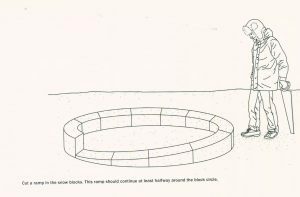 How to Build an Igloo and Other Show Shelters is a great source of information about these shelters and how to build them! Be sure to check out Igloo : Contemporary Vernacular Architecture – it is an absolutely fascinating look at modern architecture and the influence the igloo has played! Want to see the Guinness World Record holder for largest snow dome igloo ever built? Check this out! Get outside! Get some fresh air! Get some great exercise! Build an igloo! Hewings-Martin, Yella. Jasmin Colllier, Fact Checker. Nov. 7, 2017. Why am I cold when nobody else is? MedicalNewsToday. Healthline Media UK Ltd.
National Film Board of Canada. Jan. 6, 2015. How to Build an Igloo. youtube. 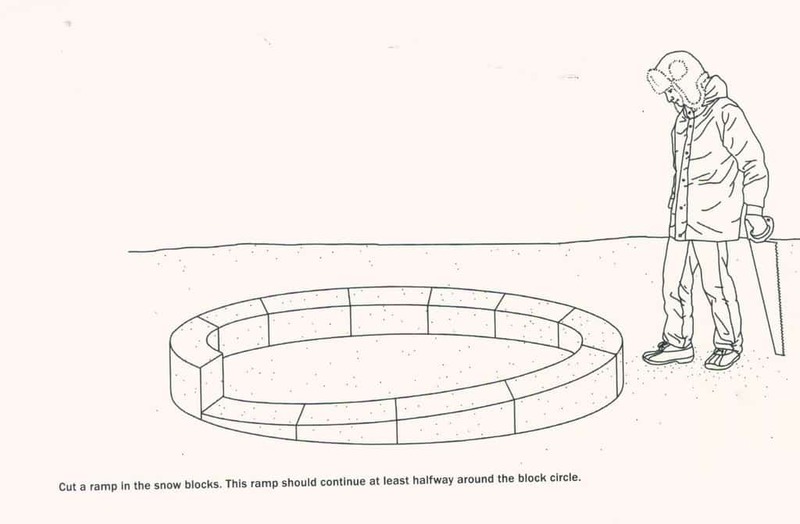 How to Build An Igloo. NOVA. PBS. Heid, Matt. March 1, 2012. Snow Sintering: How to Get Cohesive Snow for Building Snow Walls and Snow Shelters. Appalachian Mountain Club; AMC. Photo Credit: How to Build An Igloo. NOVA. PBS. Tomorrow – December 2nd – is National SKYWARN® Recognition Day!! So, just what is SKYWARN® ? SKYWARN® is a National Weather Service (NWS) volunteer program with between 350,000 and 400,000 trained severe weather spotters. The main responsibility of a SKYWARN® spotter is to identify and describe severe local weather and storms. Unlike storm chasers, they generally stay in one place until it is necessary for them to move. The spotter is the “eyes and ears in the field” for the NWS. If you are interested in learning more about the weather, we can help! We’ve had several blogs over the last couple of years that have covered weather – from hurricanes and tornadoes to snow and ice. Catch up with our weather blogs here! 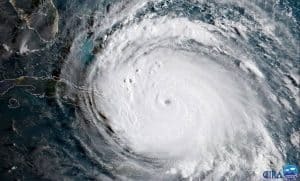 If you are interested in hurricanes and tornadoes check out our resources, including Weather and Climate : Notable Research and Discoveries, Extreme Weather : Understanding the Science of Hurricanes, Tornadoes, Floods, Heat Waves, Snow Storms, Global Warming and Other Atmospheric Disturbances, and Big Weather : Chasing Tornadoes in the Heart of America. Think you would be interested in becoming a SKYWARN® volunteer? Training includes learning about basic severe weather structure and development, how to report, and basic severe weather safety. Training is free and typically lasts about 2 hours. Volunteers include police, EMTs, dispatchers, fire fighters, individuals affiliated with hospitals, schools, nursing homes – and concerned private citizens! You can attend training at any NWS office facility, no matter where you live! Check SKYWARN training for information and find the SKYWARN® program in your area! Attend a training course near you, register as a spotter, and help keep your community safe! Thank you to all the spotters out there who volunteer their time to help the NWS with the updated, real-time weather information! Skywarn Recognition Day : First Saturday in December. National Day Calendar. Date accessed Nov. 20, 2017. Skywarn Recognition Day : December 2, 2017 from 0000z to 2400z. National Weather Service. Date accessed Nov. 20, 2017. It’s hard to pay attention to the science behind hurricanes when people’s lives are on the line and everyone is waiting to see what will really happen. Now that Harvey and Irma have done their worst, here are a few facts and interesting tidbits about hurricanes . . . information that will stand you in good stead when the next one approaches. And there will be a next one. After all, the Atlantic hurricane season last through November 30. Now, about those categories. The graphic on the left may be humorous – but it is accurate (at least as far as the facts go, not sure about the cats…Notice I’m refraining from saying anything about ‘cat’egories…). A category 1 (winds between 74-95 mph) will produce some damage (roofs, siding, gutters, trees, and the possibility of power outages lasting several days). 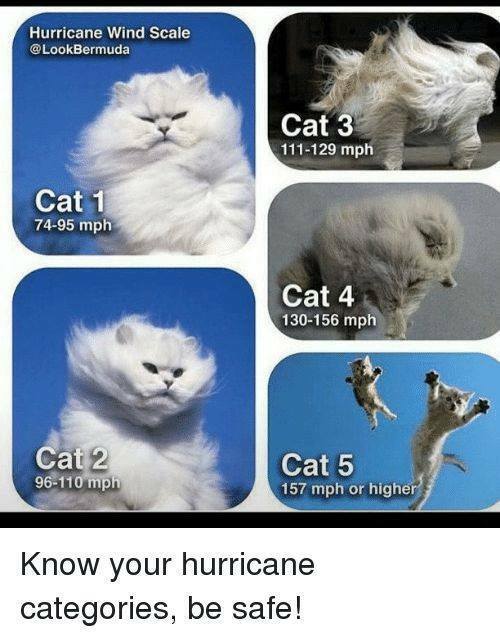 Category 2 (96-110 mph) will cause extensive damage (major roof damage, trees snapped and uprooted, and near total power outage which could last weeks). Devastating damage will occur with a category 3 (111-129 mph) hurricane (homes will sustain major damage, many trees will be uprooted blocking roads, water and electrical outages could last weeks). 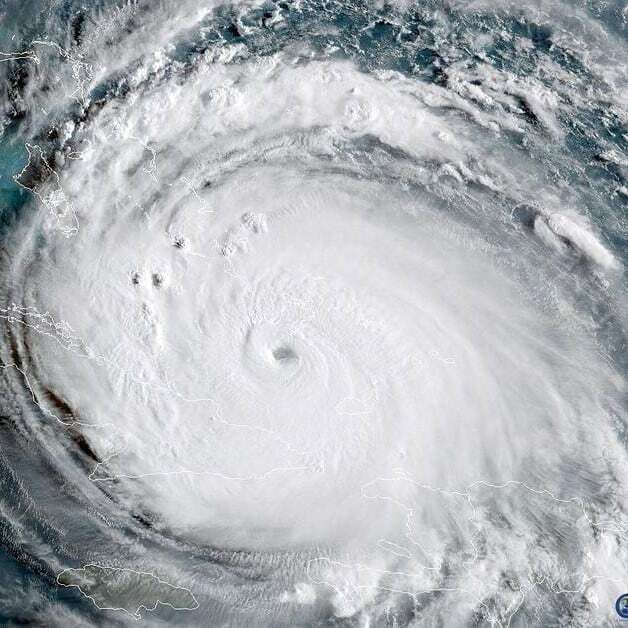 Catastrophic damage will occur with a category 4 (130-156 mph) hurricane (homes suffer severe damage, most trees will be uprooted or snapped, power poles will come down, residential areas will become isolated and most areas will uninhabitable for weeks or months). Category 5 (157 mph and higher) damage is catastrophic (most homes destroyed, residential areas isolated, water and electrical outages will last months and most of the area will be uninhabitable for months or longer). This is only the damage from the winds and doesn’t include the flooding from the rain and storm surges. Newly upgraded and repainted NOAA Lockheed WP-3D Orion N42RF, aka “Kermit,” taking off from Tampa, FL on Jan 18, 2017. Photo credit Lt. Kevin Doremux. So, where does the data come from? Data on individual hurricanes is gathered using satellites and radar – but that data isn’t as complete as when hurricane hunters are also collecting data. Yes, there really are Hurricane Hunters who fly through the eye of the hurricanes on purpose! 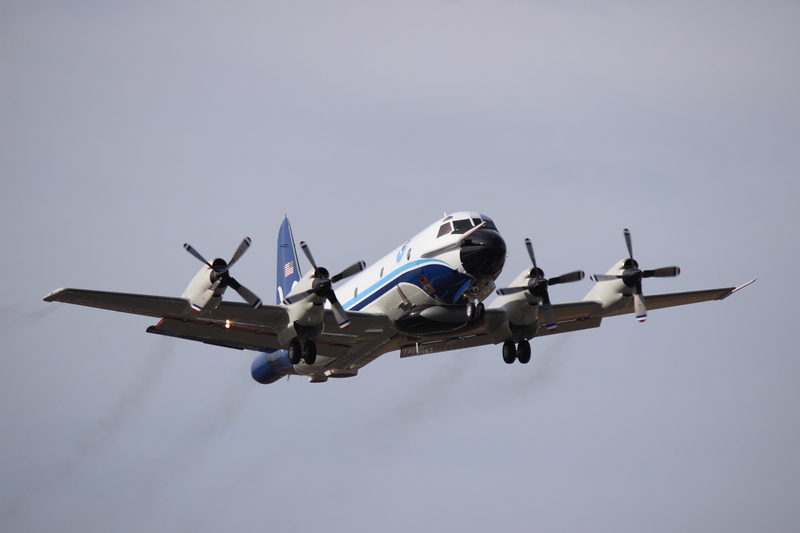 Specially equipped National Oceanic and Atmospheric Administration (NOAA) aircraft play an integral role in hurricane forecasting. Instruments on board are continually transmitting measurements of pressure, humidity, temperature and wind direction – all which help give scientists and forecasters real-time access to the storm information. And these Hurricane Hunters make the run through the eye of the storm over and over again during an 8-10 hour shift! So what’s the deal with naming the hurricanes? 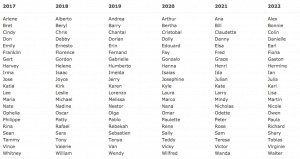 It’s pretty simple – human names are easier to remember than meteorological numbers. If there is more than one hurricane at a time (like now) there is much less chance for confusion when referring to the storms. There are six lists of names, which are used in rotation. One list is used one year, then the next list the following year, etc. 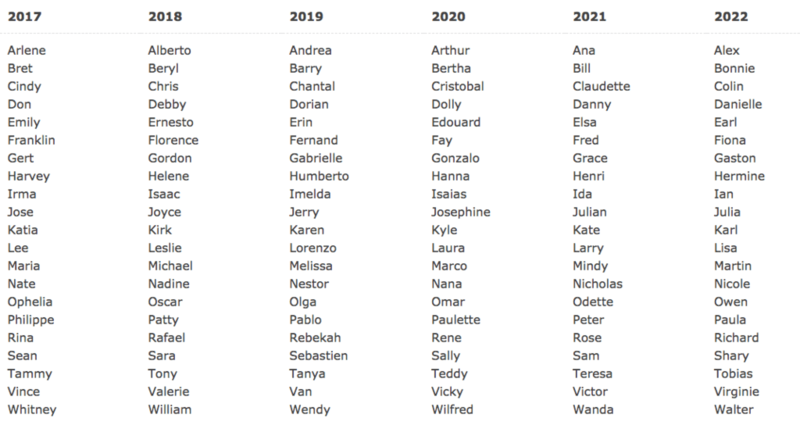 Names on the list are alphabetical with one name for each letter (with the exception of the letters Q, U, X, Y and Z, which have no names associated with them). This system of relying on names from these lists began in 1953, and was begun by the National Hurricane Center. These lists are now maintained and updated by an international committee of the World Meteorologic Association. In the 1960s women began to speak out about the inequality of gender-specific names. Finally, in 1979, male name’s were introduced and they now alternate with female names. The first hurricane with a male name was “Bob” and he hit the Gulf Coast on July 11, 1979. The names of hurricanes which are particularly destructive and deadly are retired – Irene, Katrina, Sandy, and Matthew are recent examples. It is expected that the names Harvey and Irma will be retired after this year. Would you like to prepare for the hurricane by watching some hurricane-themed movies? You might want to watch Key Largo, Thunder Bay, The Killer Shrews, and Hurricane for example! Or perhaps you’d like to create your own hurricane playlist? There are a number of possible songs – Ridin’ the Storm Out (REO Speedwagon), Riders on the Storm (The Doors), Like a Hurricane (Neil Young), and so many more. Wherever you are – please be safe! Listen to the forecasters and officials in your area. The category meme, the movies and the playlist might make light of hurricanes, but they are dangerous, destructive, and can be deadly. Saffir-Simpson Hurricane Wind Scale. National Hurricane Center. Date accessed Sept. 8, 2017. NOAA Hurricane Hunters. May 19, 2017. Office of Marine & Aviation Operations. NOAA. Volcovici, Valerie and Brian Thevenot. Sept. 1, 2017. After bungling Katrina, Hurricane Harvey is a big test for FEMA – and tens of thousands of Americans are counting on federal help. Business Insider : Politics. 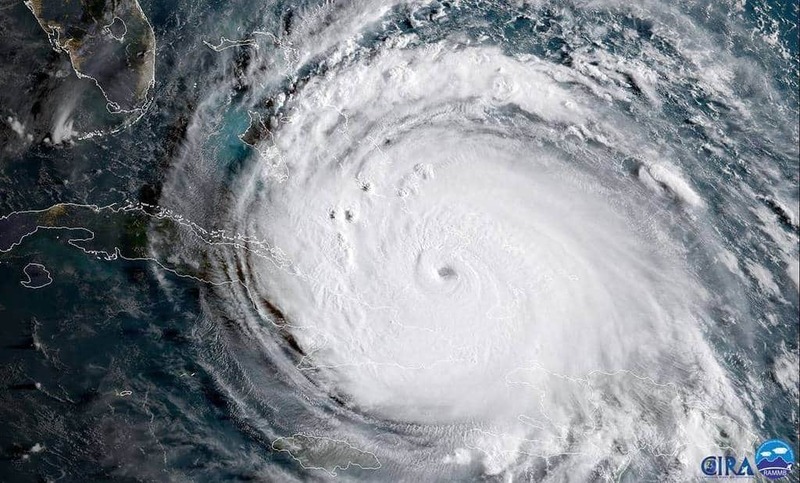 Geocolor Image of Hurricane Irma. Sept. 8, 2017. NASA : Hurricanes. Interested in information about specific hurricanes in the Gulf of Mexico? Hurricanes of the Gulf of Mexico has information about storms going back as far as 1906! For information about the changes in disaster assessment and protection systems since Hurricane Katrina, check our resources, including – Multidisciplinary Assessment of Critical Facility Response to Natural Disasters : the Case of Hurricane Katrina, The New Orleans Hurricane Protection System : What Went Wrong and Why, and Hurricane Katrina Damage Assessment: Louisiana, Alabama, and Mississippi Ports. Bromwich, Jonah Engel. Sept. 7, 2017. Harvey and Irma, Married 75 years, Marvel at the Storms Bearing Their Names. New York Times . Waxman, Olivia B. Sept. 6, 2017. The Woman Who Helped Change How Hurricanes Are Named. Time : History. Time, Inc.
but winter isn’t over yet! When we think of those big trucks with the plows, clearing and de-icing our roads, we often call them “sand trucks.” But there is much more than simply sand in those trucks. You know the white stains you get on your shoes and the hem of your pants? Those stains are the result of the salt which is also used for de-icing roads and walkways. Road salt lowers the freezing point of water, which thaws the ice and allows vehicle tires to reach the pavement for traction. Salt does make winter driving safer, but also leads to corrosion on vehicles – both cars and the road maintenance trucks. The rust and corrosion occurs on the underside of the vehicles making it hard to detect. It is recommended that consumers use car washes – with an under carriage spray – on a regular basis. A road maintenance truck is made of many different components – not just steel, but many softer metals that can be found in the wiring and other places on the truck. More and more liquid de-icers are being used and they more easily penetrate the nooks and crannies of the truck’s underside, causing more corrosion. There are several methods which are used to minimize the corrosion – coatings, additives, and cleansing techniques. Another option is to do nothing, and accept the lessened equipment lifetime. The chemicals that are used in the sand and salt mixture are formulated for different temperatures and types of snow. The effectiveness of a de-icer is measured by the range of temperature in which it provides de-icing in a reasonable length of time. So, after the truck goes by, how long do you need to wait before the roads are safer to travel? Generally that time-frame is about 15-20 minutes. Different chemicals have differing temperatures at which they are most effective. Calcium Chloride is effective at the lowest temperature, as seen below. Here’s an interesting fact: in the United States and Canada, more salt is used on snow and ice than with cooking! 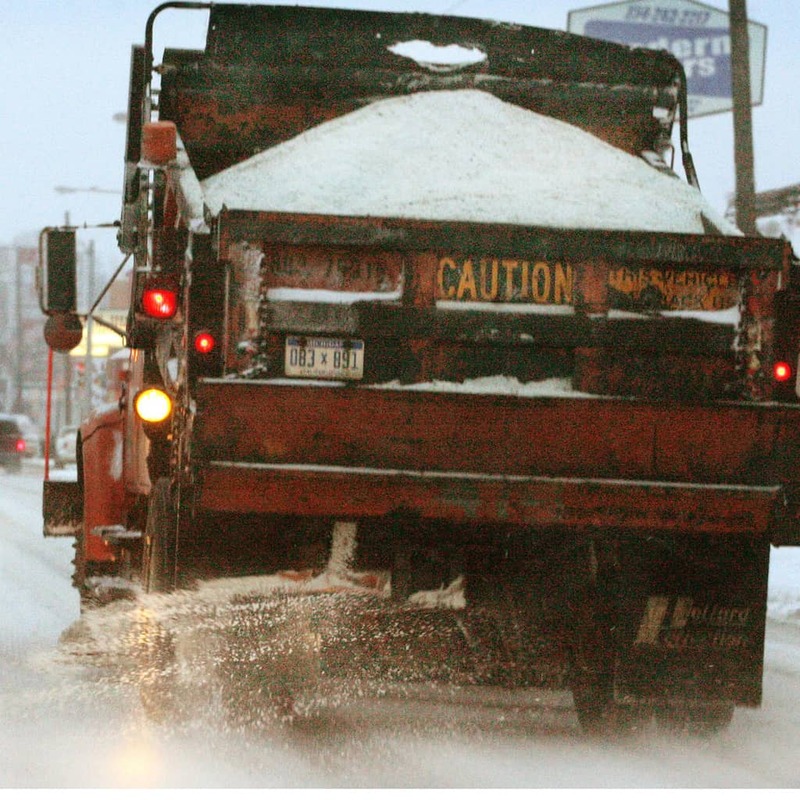 Every year, nearly 140 pounds of salt per person are applied to roadways in the US alone. That amounts to over 20 million tons of salt. And that doesn’t include the use of salt on sidewalks, walkways or parking lots! We sometimes hear the words “snow and ice control.” How is it possible to “control” snow and ice? Interestingly enough, there is a “heat island” effect around major metropolitan areas. The heat that is emitted by those major cities can modify the climate enough that the amount of snowfall is reduced or rain (or freezing rain) falls instead of snow. You’ve heard of covered bridges? They were – and are – built to protect bridges from snow and ice. Ever wonder why bridges are more slippery than the roadways? 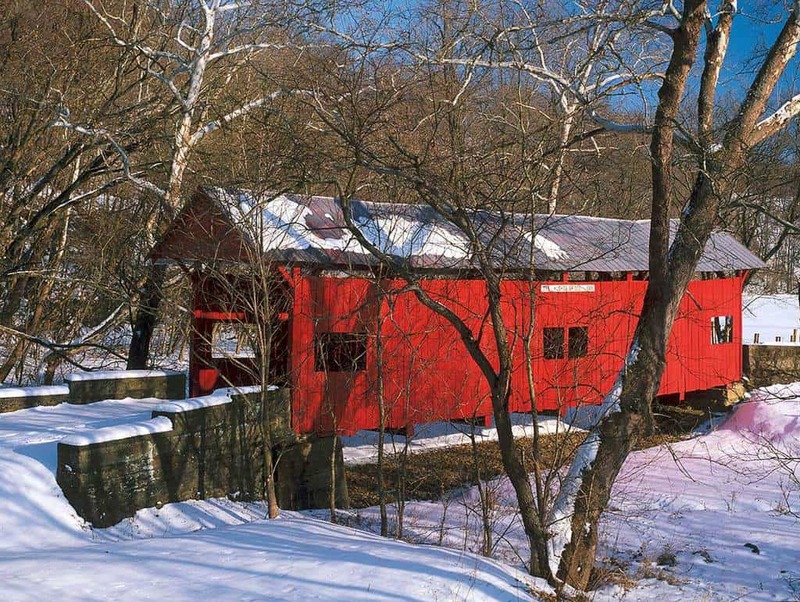 Both the roadway and the underside of bridges are exposed to the cold, making them more susceptible to ice – those covered bridges protect the top, making the bridges that much safer! 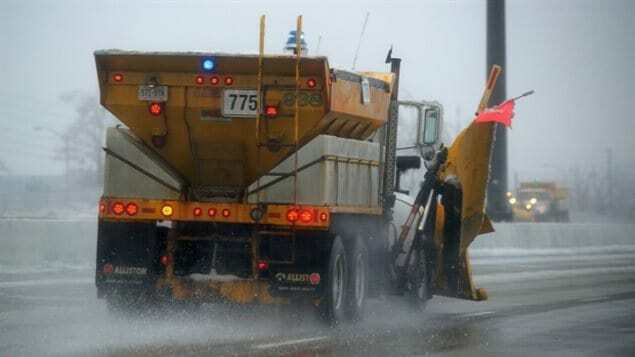 Sand, salt and chemicals are the common ways to de-ice roadways. However, there are some new methods that are gaining traction (see what I did there?). You may have heard that beet juice and brine – cheese brine – are being used to de-ice roadways. A company in Indiana is distributing a sugar beet molasses-based product that is mixed with rock salt. The mixture helps rock salt melt ice below the 15o limit. We know from our pancake and waffle experiences that syrup and molasses are very sticky. That is actually an advantage – that stickiness helps prevent the rock salt from bouncing off roadways as cars drive past. 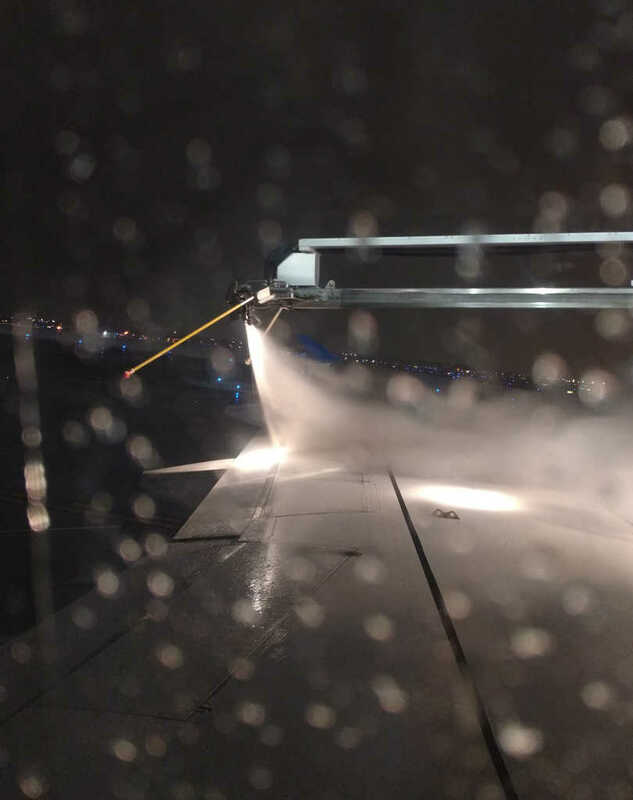 Airplane de-icer in action – taken through a snowy plane window. Of course roads aren’t the only things that need to be de-iced. A patent for “Method and device for de-icing trains” was granted in 2013. A patent for “deicer composition” created for “melting ice on and defrosting a surface such as a windshield of a car” was granted in 1963. And a patent for “De-icing of aircraft” was granted in 2008. Want a little help clearing your sidewalks and driveways, check out the Autonomous Snowplow Competition! In case an autonomous snow plow isn’t in your future, there are now a number of different types of snow shovels, snow blowers, and ecological- and pet-friendly de-icers for your driveways and walkways. Keep a safe distance from road maintenance vehicles, watch for ice and snow on uncleared roadways and be sure to clear your driveway and walkways – in other words – be safe this winter! The Ion Autonomous Snowplow Competition : Saint Paul, MN – Winter Carnival, January 28-31, 2016. Wilfrid A. Nixon. Emeritus Faculty, Civil and Environmental Engineering. The University of Iowa College of Engineering. Nick, Jean. Remove Winter Salt Stains From Pretty Much Anything. Deb. 11, 2016. Rodale’s Organic Life, Rodale Inc.
Work Zone Safety. 2017. MN Department of Transportation. Ice & Snow: Take It Slow. Winter travel information. 2016. Iowa Department of Transportation.. 2016. Breaking the ice. 2006 (accessed Dec. 2016). Peters Chemical Company. 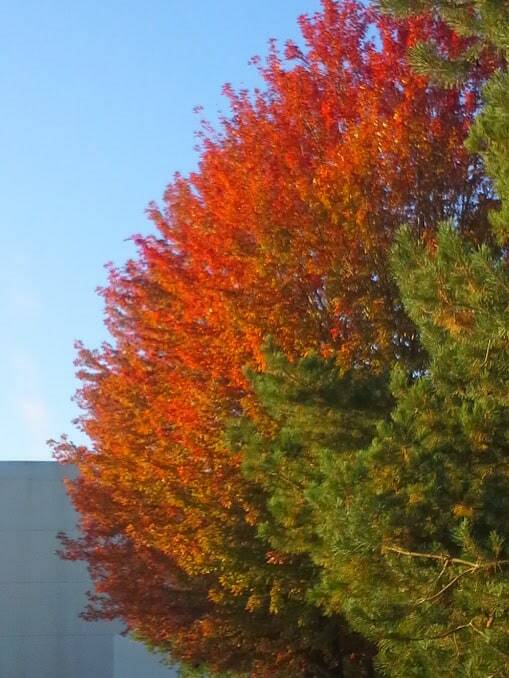 Don’t miss the trees turning those gorgeous colors! The days are shorter and cooler and the trees are changing colors. Beautiful deep reds, oranges, and vibrant yellows…. So, how does that happen, and why in the fall? 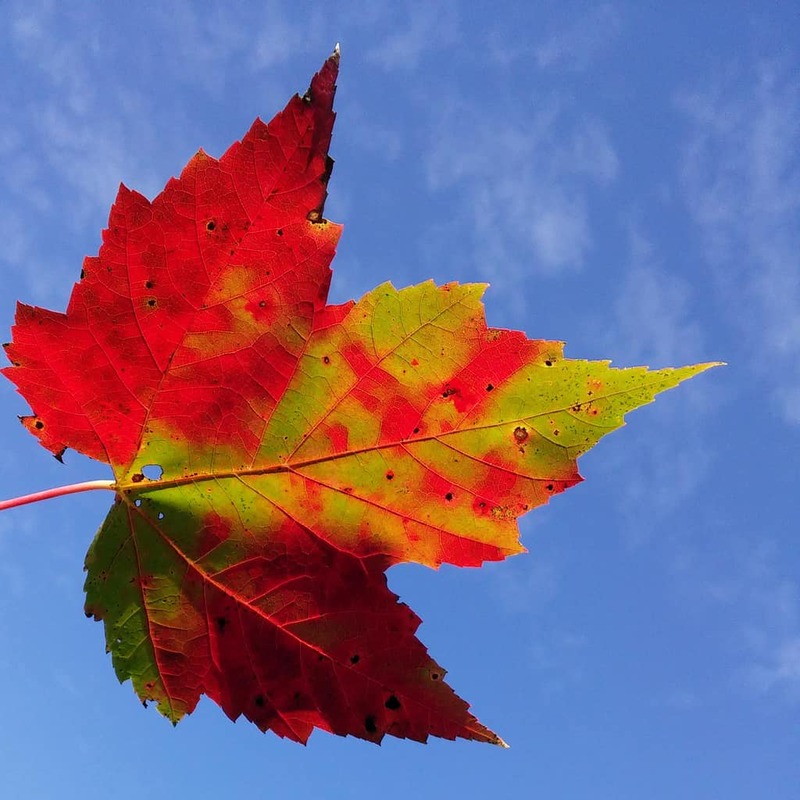 Trees that change color are called deciduous (which means it sheds leaves annually) or broad-leaf trees, which have, obviously, broad leaves with a relatively large surface area. Leaves have two purposes – to convert carbon dioxide to oxygen (thank a tree for our fresh air!) and also to convert sunlight into energy for the tree. The large surface area helps the leaves gather more sunlight and therefore, more energy. The leaves “breathe in” carbon dioxide and “exhale” oxygen (for more information about this process check Plant Biochemistry by Florence K. Gleason with Raymond Chollet). Leaves actually have several other pigments, besides green, which are always present – red, yellow, orange and even purple (beets, carrots, cherries!). The leaves on trees (and many plants) have so much green pigment, however, that the other colors aren’t visible – until fall, that is! The green pigment comes from chlorophyll which is used in photosynthesis (the complex process by which carbon dioxide and water are converted into carbohydrates by using the energy from the sun). The carbohydrates that are formed are then stored in the branches, roots, and buds of the trees. We all know that, in the fall, days get shorter and cooler and the nights get longer – and cooler! Broadleaf trees are sensitive to sunlight – they need the sunlight to transform the chlorophyll. When there is less sunlight, the leaves make less chlorophyll, which means the trees become less green and the other pigments begin to become visible. Different types of trees have differing amounts of pigment – for example, trees with more anthocynins (the pigment responsible for the red and purple hues) will be more red than those with less. 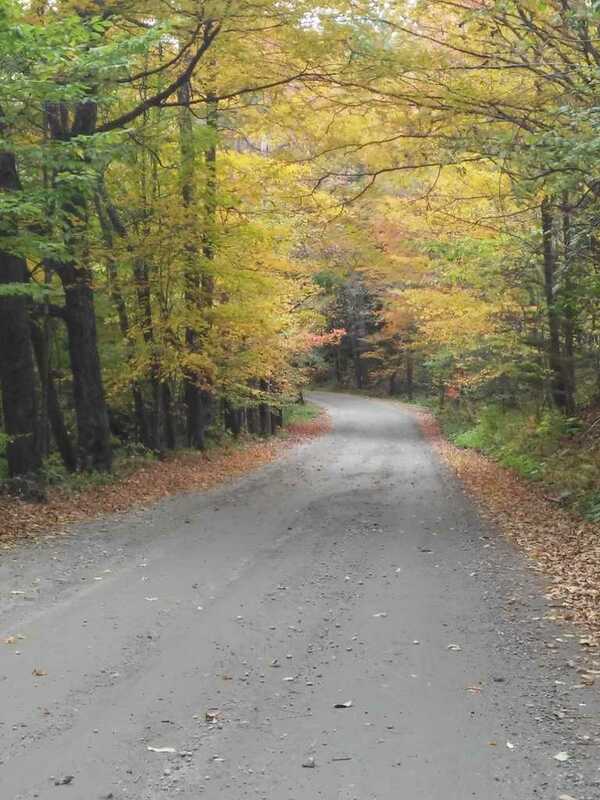 Temperature, sunlight, and soil moisture also influence the quality of the fall colors. A spring and summer with ample moisture followed by a dry, cool, and sunny autumn will produce the brightest fall colors. Why do leaves fall? Without chlorophyll to help them make energy, they are no longer needed. The energy that they have produced is stored in the tree. The other pigments also eventually break down – when there is even less light, or if they are frozen. The only pigment that then remains is brown (tannins), and at that point the leaves drop off. The tree then lives through the winter on the energy that it has stored. When the days begin to get longer and warmer, the tree grows new leaves and the process begins all over again. (Why don’t coniferous trees – evergreens, firs, etc. – change color and drop their needles? Briefly, needles are smaller, more watertight, more wind resistant and are able to photosynthesize all year long. Since needles have a reduced surface area, they are harder to destroy – and less tasty for insects!). For a short, easy-to-understand, explanation of why leaves change color in the fall, watch this SciShow Kids video! Here are resources where you can find more information! Helen Hunt and Bill Paxton in Twister, released in 1996. 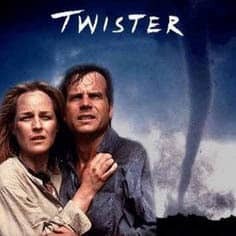 The movie Twister,© which was filmed in and around Ames, Iowa, was nominated for 2 Oscars, 13 other awards and won a total of 10 awards. “Bill and Jo Harding, advanced storm chasers on the brink of divorce, must join together to create an advanced weather alert system by putting themselves in the cross-hairs of extremely violent tornadoes.” (Plot summary, IMDB.com). TOTO before and after deployment. Storm Prediction Center NOAA. NSSL photos. Their team of storm chasers, competing against a better-funded team, are trying to create a device meant to be released into a tornado. The plot is a dramatized view of research projects like Verification of the Origins of Rotation in Tornadoes (VORTEX) of the National Oceanic and Atmospheric Administration (NOAA). The device used in the movie, named “Dorothy,” is copied from “TOTO” (TOtable Tornado Observatory)- the real device used in the 1980s by the National Severe Storms Laboratory (NSSL). Dorothy (i.e. TOTO) was an instrument designed to be placed in the path of a tornado, and then sucked up into the tornado. When TOTO was sucked into the tornado, sensors would be released and these sensors would measure, among other things, pressure and humidity. Unfortunately, TOTO was too light and fell over when it was sideswiped by the edge of tornado. 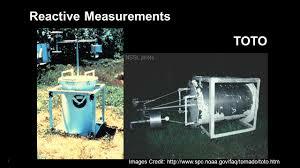 It was later deployed as a portable weather station to measure thunderstorm gust fronts and non-tornadic mesocyclones. 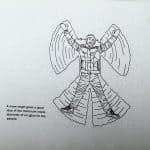 VORTEX was designed to answer questions about the causes of tornado formation. It documented the entire life cycle of a tornado from beginning to end, for the 1st time in history. VORTEX2 has many more instruments than the original VORTEX and is now mobile. Currently, in 2016, NSSL researchers are embarking on VORTEX Southeast. With this research, scientists seek to understand the environmental forces in the southeastern United States – studying the intensity, structure, and path of tornadoes in the region. A twister snakes toward storm chasers in South Dakota. Photography by Carsten Peter, National Geographic Creative. What does it take to be a storm chaser? Anyone can become a storm chaser – there are no procedures, certifications or permits required unless you want to become a SKYWARN® spotter. SKYWARN® is a National Weather Service (NWS) volunteer program with between 350,000 and 400,000 trained severe weather spotters. The main responsibility of a SKYWARN® spotter is to identify and describe severe local weather and storms. They are different than chasers, usually staying in one place to observe, until it is necessary for them to move. Their training includes learning about basic severe weather structure and development, how to report, and basic severe weather safety. If you are interested in becoming a SKYWARN® volunteer, training is free and typically lasts about 2 hours. Check SKYWARN training for information and find the closest SKYWARN® program in Iowa! 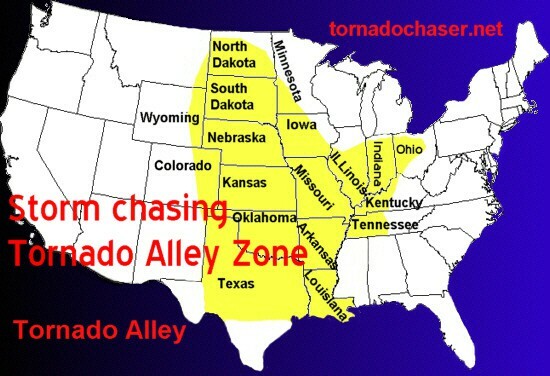 Tornado Alley is a nickname given to an area in the southern plains of the central United State. If you do decide you want to venture out on your own to watch a storm, you must be very careful – not only because of the storm, but also because of the other chasers in the vicinity. Often amateur storm chasers will park in the middle of a road to watch and photograph the approaching storm. Parking in the middle of the road makes it nearly impossible for vehicles to leave the potential danger zone and they are often in the way of the trained and seasoned storm chasers. In some locations it has been reported that as many as 100 amateur storm chasers may all converge in an area where the chance for tornadoes is high. Storm chasing is dangerous – even for the seasoned chasers. In May, 2013, 3 chasers and 1 civilian were killed by tornadoes near El Reno, OK. Local resident, Richard Henderson, was killed when he decided to follow that storm. 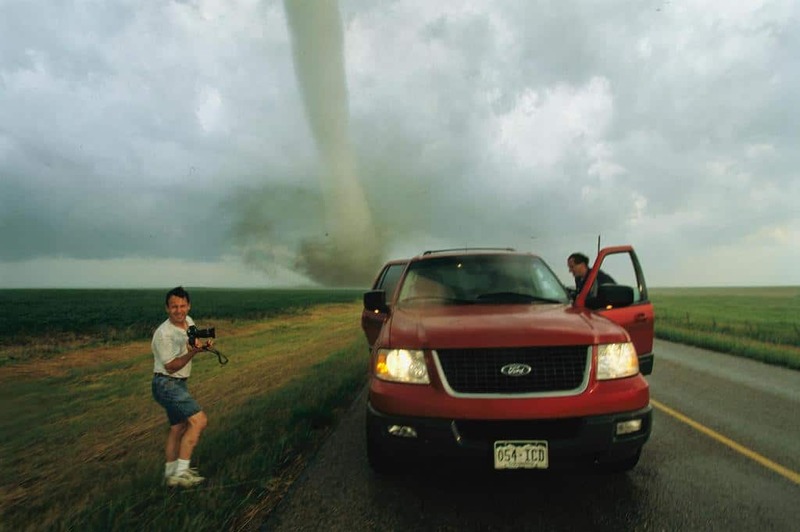 Tim Samaras (a chaser and a meteorologist), his son Paul Samaras, and Carl Young were experienced, seasoned chasers and considered to be the safest storm chasers at the time. Tim founded and headed the Tactical Weather-Instrumental Sampling in/near Tornadoes EXperiment (TWISTEX). The TWISTEX vehicle in which the three were chasing was struck by a violent wedge tornado with winds up to 295 mph. For a fascinating look at the personal stories and experiences of a storm chaser, check out Out of the blue : a history of science, superstition, and amazing stories of survival by John s. Friedman. For more information about tornadoes and severe weather, check our blog, “Stormy Weather,” from April 29, 2016. Twister© is the 1st Hollywood feature film to be released on DVD and one of the last to be released on HD DVD. It has since been released on Blu-ray. Both Bill Paxton and Helen Hunt were temporarily blinded by bright electronic lamps used to get the exposure right for the dark, stormy sky. They also both had to have hepatitis shots after filming in an unsanitary ditch. If you live in the tornado alley and are up for some excitement – you just might want to watch Twister©! Even if you don’t live in tornado alley, you should get some popcorn and watch, and learn about storm chasing! Twister (1996 film). Produced by Steven Spielberg’s Amblin Entertainment. The TOTO Home Page. Storm Prediction Center. Date Accessed May 9, 2016. National Weather Service SKYWARN™ February 29, 2016. NOAA National Weather Service. Storm Chaser Tim Samaras: One Year After His Death, His Gift is Unmatched. By Robert Draper, for National Geographic. May 27, 2014. National Geographic. TWIRL – Tornadic Winds : In situ and Radar observation at Low levels. 2016. Center for Severe Weather Research. NSSL The National Severe Storms Laboratory. Tornado Chaser Tim Samaras Killed: Fans Pay Tribute. June 3, 2013, By Melody Kramer. National Geographic.